Food is one of the most important needs for survival of any living being. Through the years we have changed from hunting and gathering, eating for necessity to high quality and gourmet, eating for pleasure. I’m quite glad that eating for pleasure is the main objectives of our culture and society, because the food tastes delicious! In New Orleans the types of food and the spices and seasonings the food has is drawn from so many cultures, The French, Cajun, Spanish, and even a little Italian. 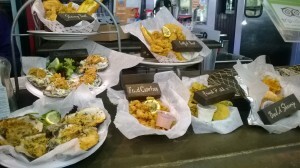 Seafood is a major food group eaten in New Orleans, and that was perfect for me because its one of my favorites as well. 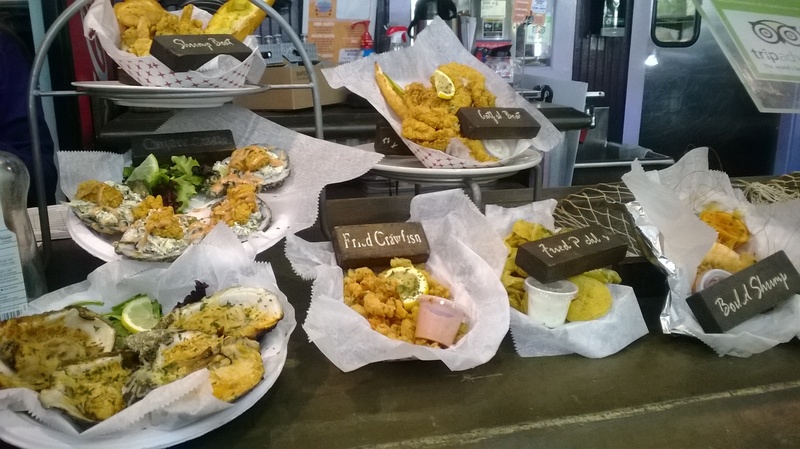 lets start off with some delectable foods found in New Orleans, Louisiana! 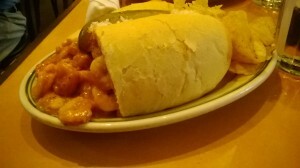 One popular food of New Orleans is the Po Boy. The Po boy was created when workers back in the early 1900s went on strike with no pay, the street food cars tried to help out by making a sandwich that would make as much food out of the scraps of meat that they had and putting in a french bread, it was cheap and kept the them fed. this sandwich has evolved into french bread over flowing with, shrimps, beef, ham, crab, craw fish, pretty much any meat or food that you ant inside your Po boy, you can get it. The next food on the menu is the beignet, its a french doughnut, fried and covered in tons of powered sugar. Beignets were brought to New Orleans in the 18th century by french colonists. 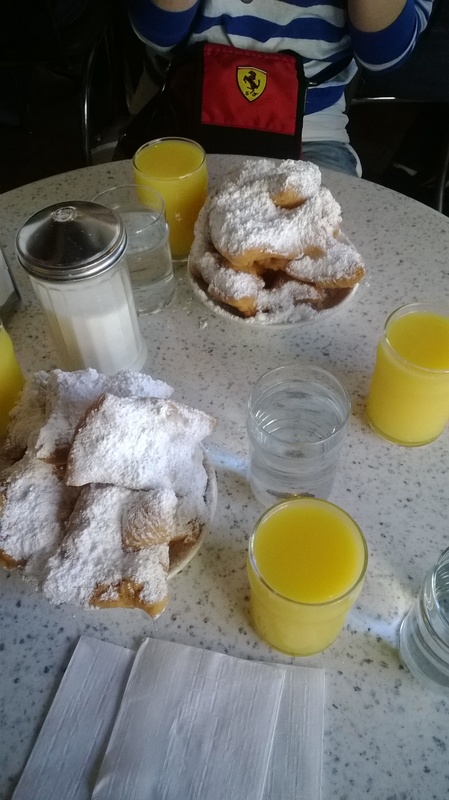 Café Du Monde has become the most popular place in New Orleans to get fresh and ready Beignets. While wandering around near the French quarter I ran into a little Italy of sorts, there were small pizza shops and Gelaterias! 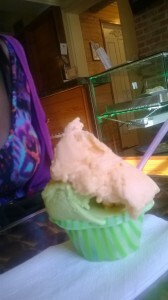 The flavors of gelato ranged from fruity ones like Sicilian orange to earthy ones like pistachio, and even teramisu. I found the little Italy charming and unique among the spicy sea foods and the hearty soul foods of New Orleans. speaking of Spicy sea foods and hearty soul foods, my experience with both these foods were quite pleasant, the first day at the French Market I stumbled upon a seafood stand that had fried everything sea food you could imagine. Shrimps, oysters, craw fish, catfish, barbecue shrimp, broiled oysters, raw oysters, boiled craw fish, it was a sea food lovers dream! everything was served on buttered french bread, a pickle, a lemon, tarter sauce, and cocktail sauce! And for the soul food Willie Mae’s Scotch House take the cake! Her secret recipe for friend chicken has made her small restaurant famous, not only in New Orleans, but all over the cooking community. the large portions served are very filling. 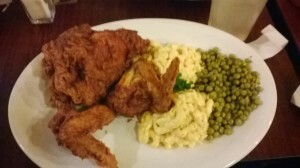 I got three pieces of chicken, two legs and a hefty thigh, a side of peas and macaroni, the menu offered other southern favorites like corn bread, red beans and rice, pork chops and some seafood as well. Its nice to see Willie Mae’s is still up and running after hurricane Katrina. Established in the late 1970’s, by 2005 Willie Mae’s became a staple restaurant within the community. 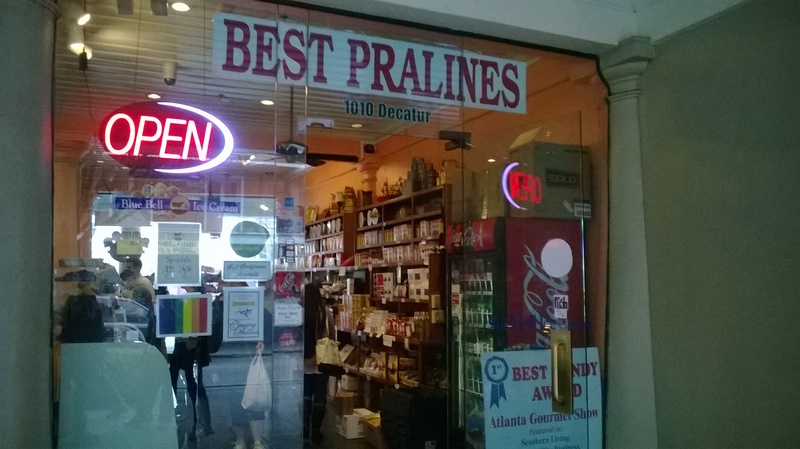 For your sweet tooth New Orleans had their famous pralines to offer, it is said that the origin of the name of the praline came from a french diplomat from the 17th century. 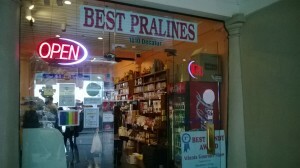 the pecan praline is one of New Orleans most popular sweet treats. Pralines are a sweet soft fudge like candy that are made of sugar syrup and nuts they are sold all over New Orleans and are found in almost every gift shop! Its great to see the cultural influences of the foods that make up New Orleans, and its also great to see how the foods change over time to meet the wants and desires of the consumer. the Spices, broths, and sauces used on the food make New Orleans a particularly unique and enjoyable place to have a meal!